I am a fan of the Symbolist painters from around the end of the 19th century, artists like Edvard Munch, Gustav Klimt, Odilon Redon. 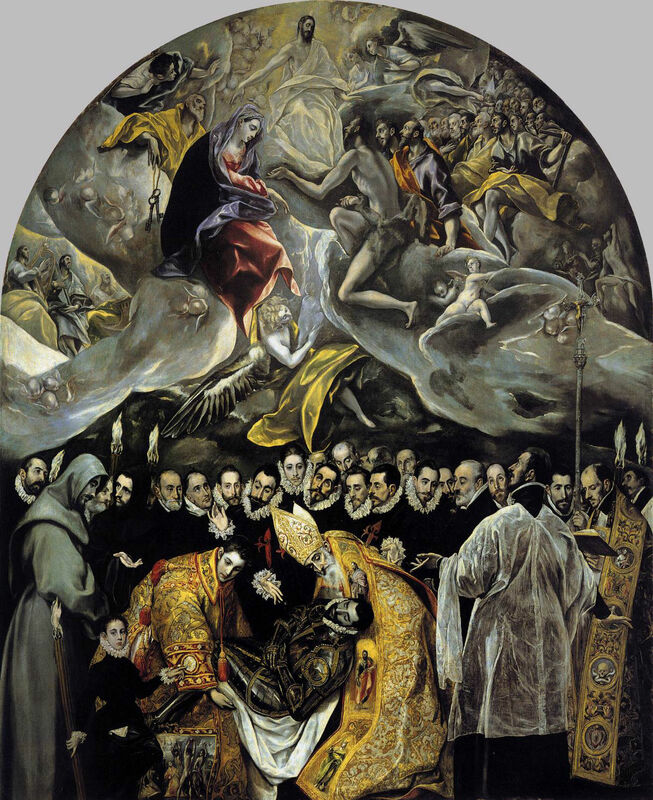 and many others created incredible works that were just a little beyond reality but beautiful and with a presence that lingered with the viewer. 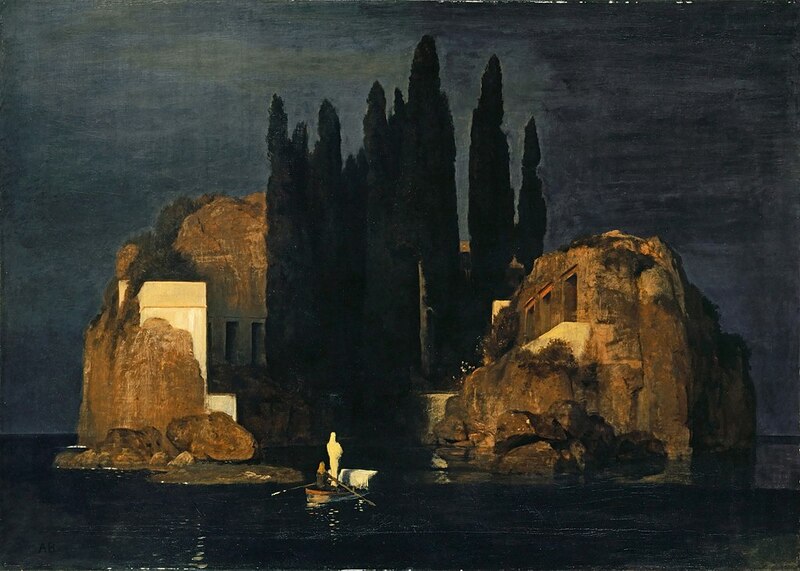 There are many great examples but one of those paintings with a lingering effect is the Isle of the Dead from Swiss painter Arnold Böcklin (1827-1901). 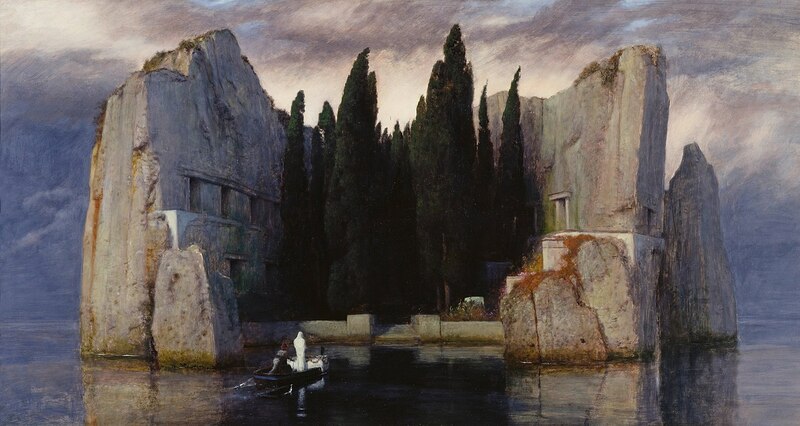 Depicting an island where the bodies of the dead were interred, it is a powerful and somber image. 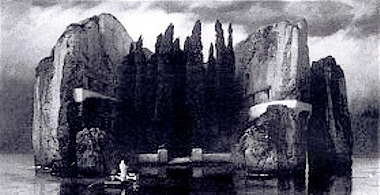 Several locations are reputed to be the inspiration for this painting, including several tiny Mediterranean islands with similar cypress trees and chapels. Some believe it to be based on a cemetery in Florence, Italy near the artist’s studio where his infant daughter was buried. 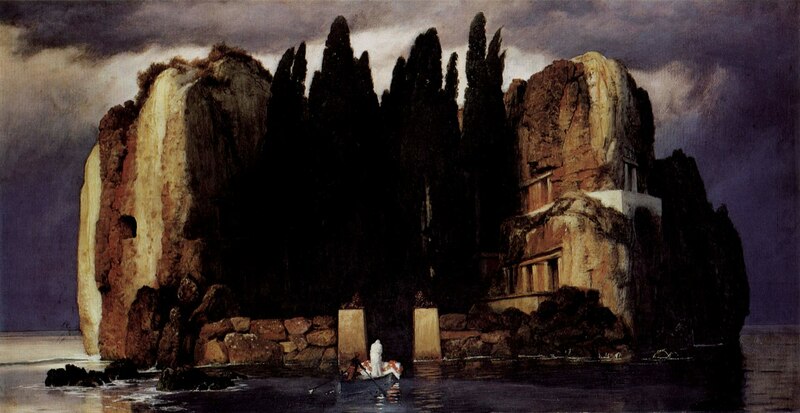 Böcklin lost 8 of his 14 children to death, so the concept of death was something that was always near. This was not that uncommon in that time. Most families lost one or more children in early childhood and death was an accepted part of this world. During this time, at the end of the 19th century, it wasn’t unusual for a family to take portraits of their loved ones soon after they died. 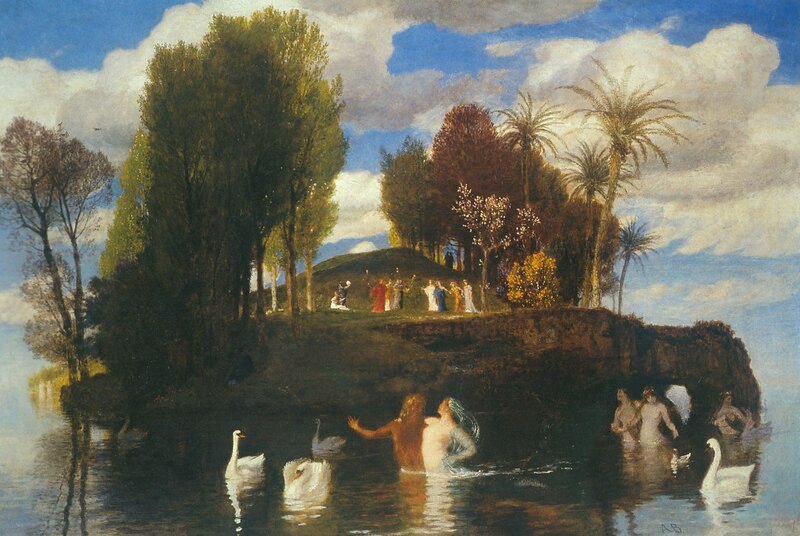 Böcklin painted five versions of this instantly popular work for collectors. 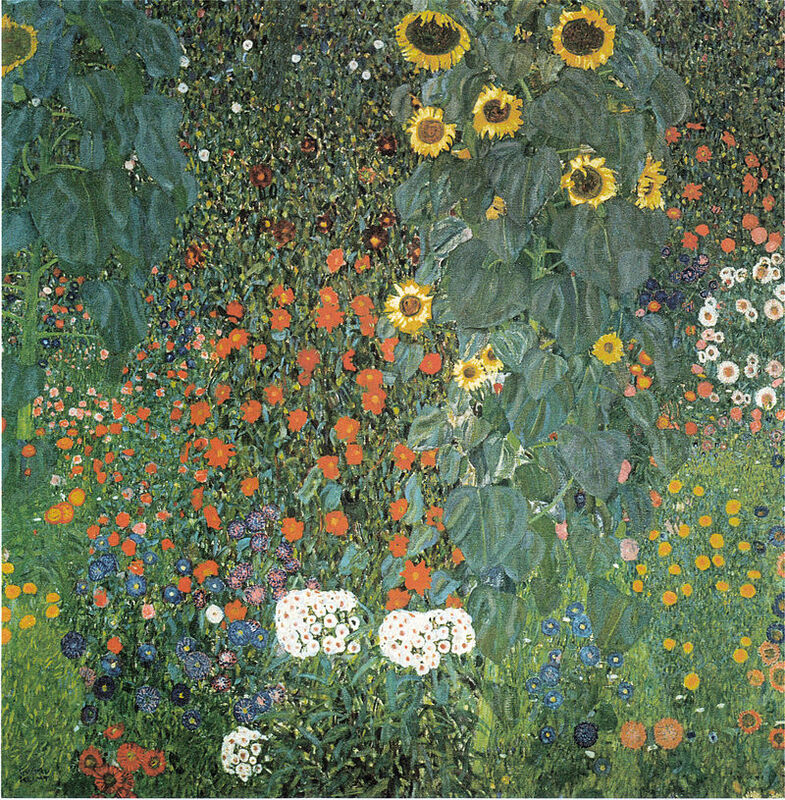 One version, the third, was bought by Adolf Hitler in 1933 and now hangs in the National Gallery in Berlin. Another, the fourth, was destroyed by a bombing raid in World War II and only exists now as a black and white photograph. This painting had something with which people deeply identified and it was the new popularity of mass produced lithographic prints in the time that gave it staying power. It was said that one couldn’t enter a Berlin home at the turn of the century without coming across a print of the painting on the wall. This image has maintained quite a bit of its following through the years, even having websites dedicated to it. As I said, it is a powerful image that lingers in your mind long after you see it. I know it does for me. It has definitely been a huge influence on a number of painters and other artists. 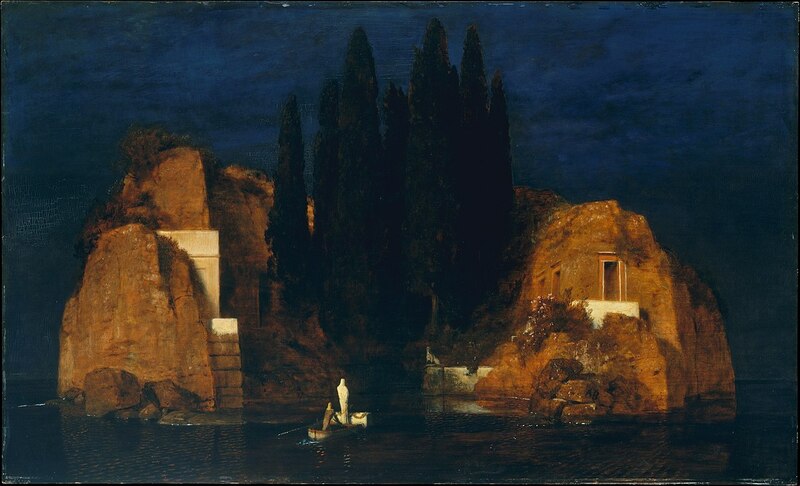 In 1888, Böcklin created a painting, Isle of Life (see below), that he considered the converse image to his now famous Isle of the Dead. It has living people, animals, greenery and a generally more upbeat appearance. But it certainly doesn’t come close to the soul jolting impact of its antithesis. Lately, when I have been very busy, I’ve been sharing some videos of artists’ work set to music. For example, I’ve shared videos of the works of Edward Hopper and Thomas Hart Benton in recent weeks. It’s always interesting to see artists work set to music, especially when they seem to complement one another. Well, I am busy again today but want to share a nice video featuring the work of Gustav Klimt put together by a Brazilian musician, Juliano Cesar Lopes, who creates musical scores for films under the name JCSL Studio Recording. He has produced a number of short films like this one as a showcase for his skills. I like his work on this short film and hope you will as well. I often come across work online, some that just captures me immediately, and wonder how it is that I have never heard of the artist behind it. Such is the case with Vittorio Zecchin, an Italian artist who lived from 1878 until 1947. I came across the image above and it really rang my bell. 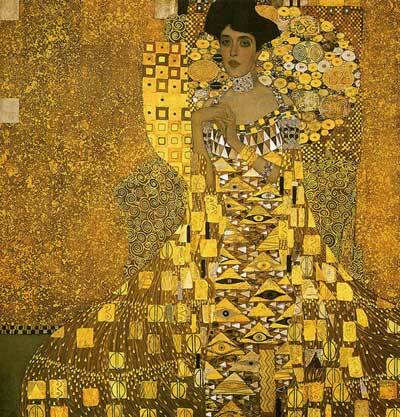 It had vibrant color and shapes throughout with a form and richness that brought the work of Gustav Klimt to mind. Looking for more info I found that background info on Zecchin was sketchy. He was raised on Murano, one of the famed islands of Venice known for its glass-making. His father was a glass-maker and Zecchin grew up immersed in color and form. He studied art but, feeling his voice would not be heard in the somewhat conservative artistic atmosphere of Venice at the time, put it aside in his early 20’s to pursue a job as civil servant. 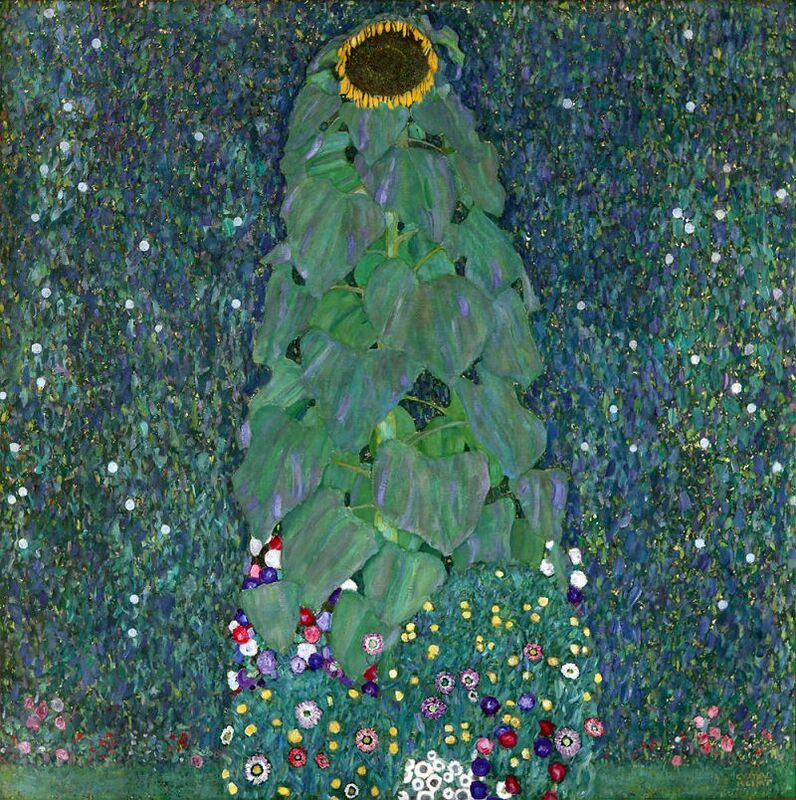 However, he came back to painting around the age of 30, spurred on by a new movement in Venice of artists inspired by Klimt and other artists. 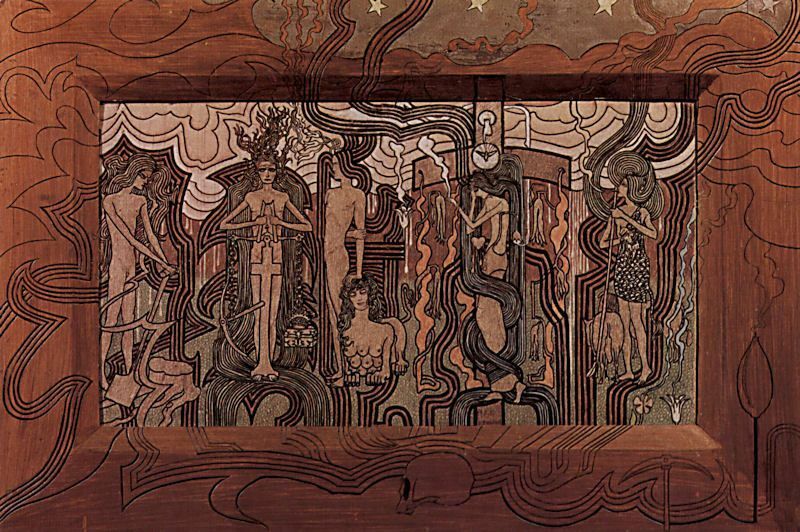 All of this pieces shown here are from his grandest work, a mural completed in 1914 for the Hotel Terminus that consisted of 11 or 12 panels ( I have found conflicting reports) that measure around 300 feet in total length. Called Les Milles et Une Nuit ( A Thousand and One Nights), it depicts the entourage of kings, queens, princesses and princes as they bear gifts to encourage the Sultan to give his daughter’s hand to Aladdin. 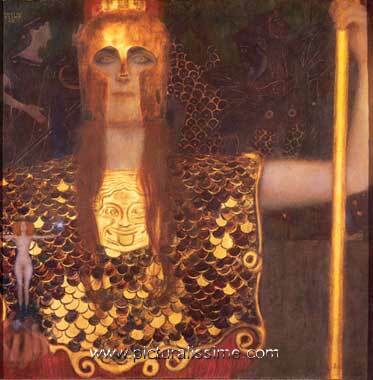 You can see the influence of Klimt but more importantly you can see the influence of the glass and color of Venice. Unfortunately, the panels are no longer together, having been dispersed throughout the art world over the years. From this achievement, Zecchin moved on to incorporating his keen eye for design to other endeavors in the decorative arts. He started a tapestry workshop on Murano in 1916 then became the director of the famed Cappellin-Venini glass works, as well as working with a number of other prestigious glass works until he retired at the age of 6o. He said he was exhausted and he was sucked dry. 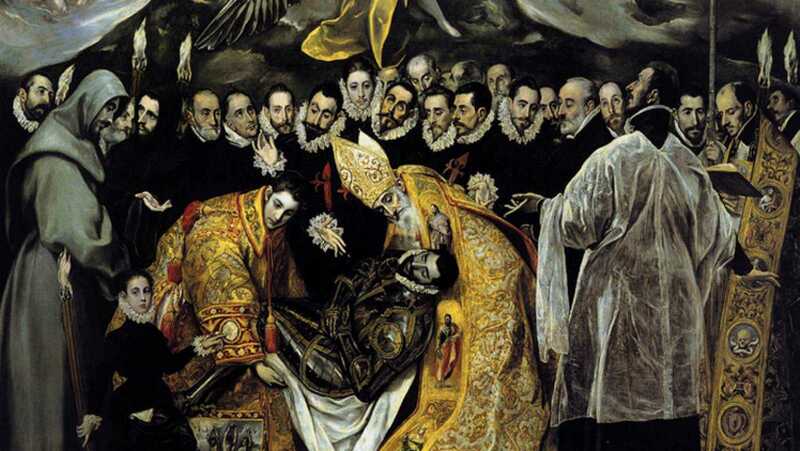 I would love to have been able to see this painting complete and in its original setting. Or even in some complete form online. But I am simply pleased to have come across it at all. There is something very encouraging in his work that pleases me. And that is enough for now. 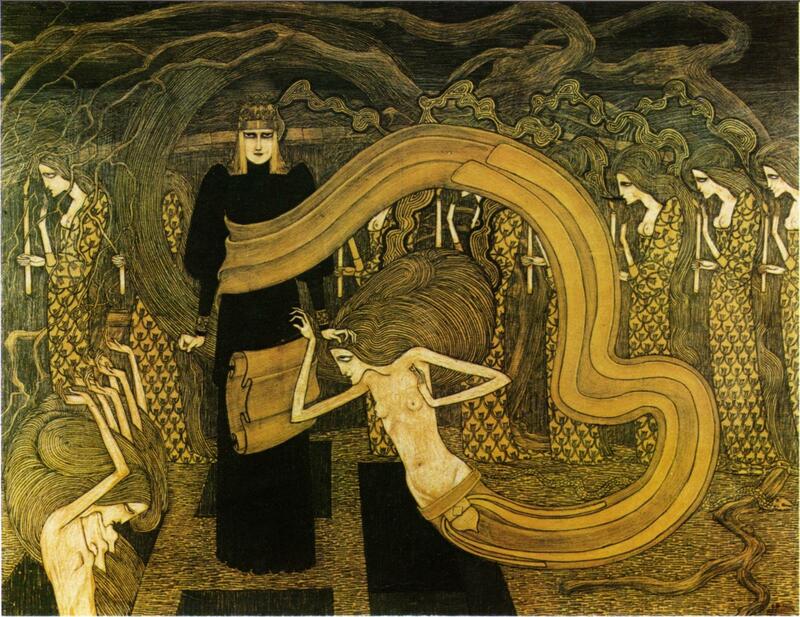 I recently came across the work of the artist Jan Toorop and really found myself attracted to his imagery. I hadn’t heard of him but at the first glimpse immediately wanted to see more. 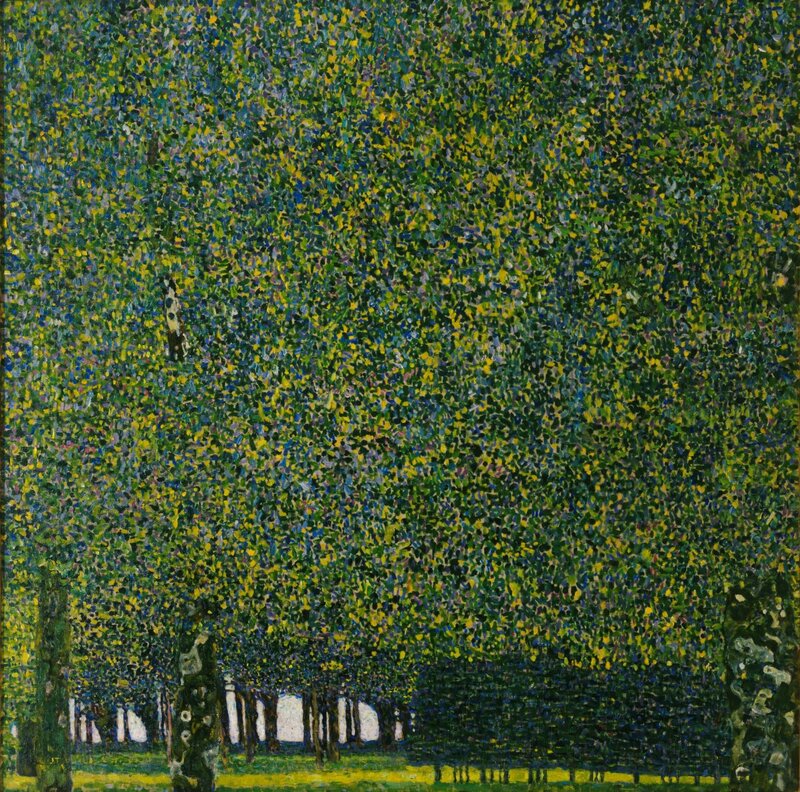 Toorop was another of those artists who have not garnered as much attention outside his home in the Netherlands as you might expect when you consider the work and the influence it had on other artists of the time. 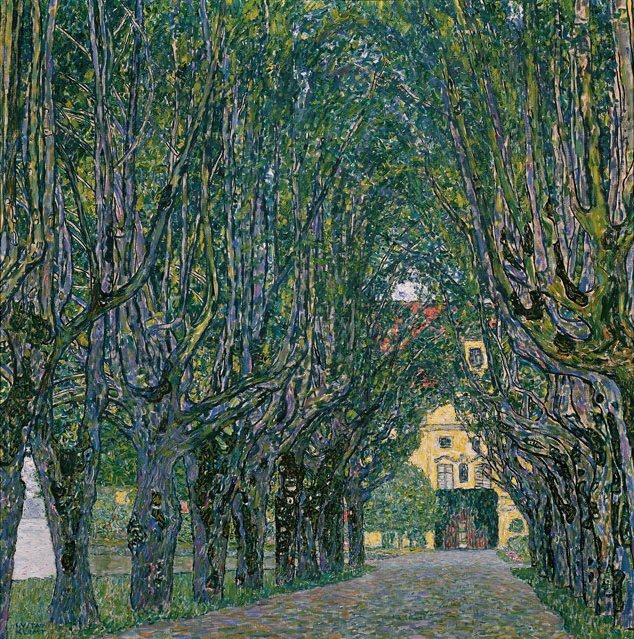 Toorop’s work largely influenced the work of Gustav Klimt and other Symbolist painters of Northern Europe. You can see this in the piece above, Fatalisme. 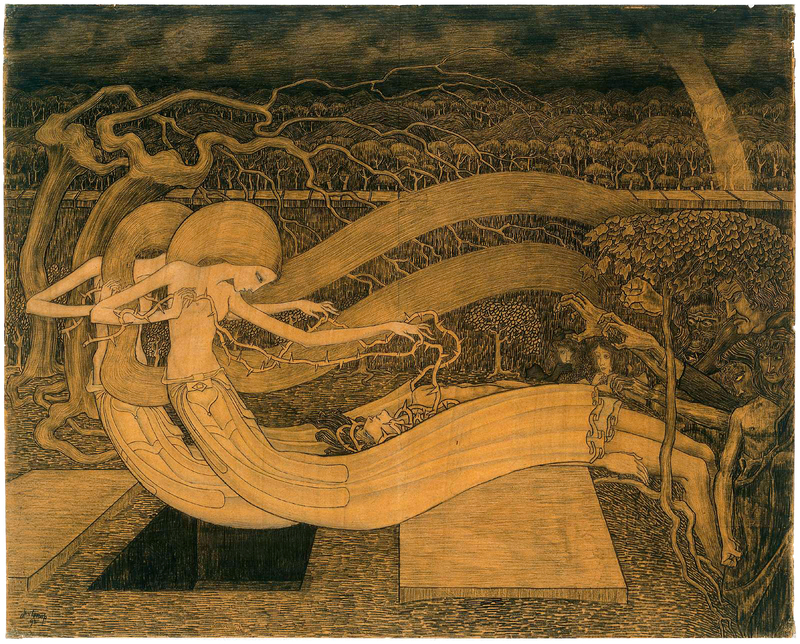 Jan Toorop was a Dutch-Indonesian artist born on Java in 1858 who moved to the Netherlands as boy. He worked in many styles in his early career, sometimes in pure Realism but often following the trends of the time. 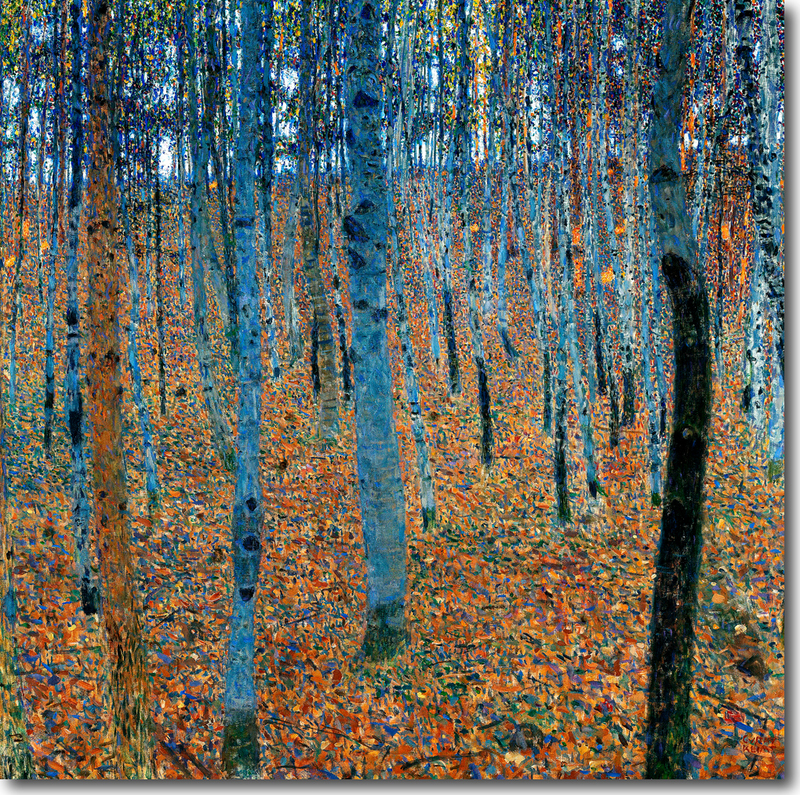 He produced work in a decidedly Pointillist style as well as work that was purely Impressionistic. But in the early 1890’s he began to develop the style that garnered the attention of many other artists. It was Symbolist imagery based on Javanese motifs carried by dense and curvilinear line work. Eventually, this led to him working in an Art Nouveau style later in his career. 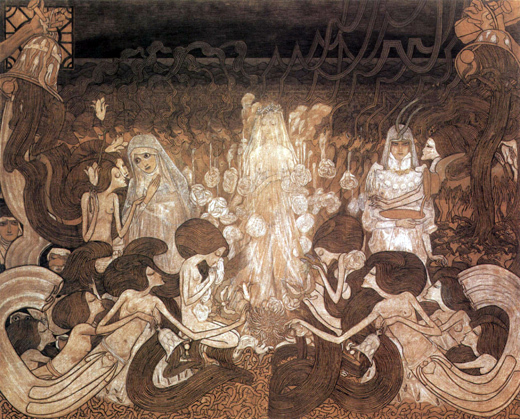 Toorop died in 1928. 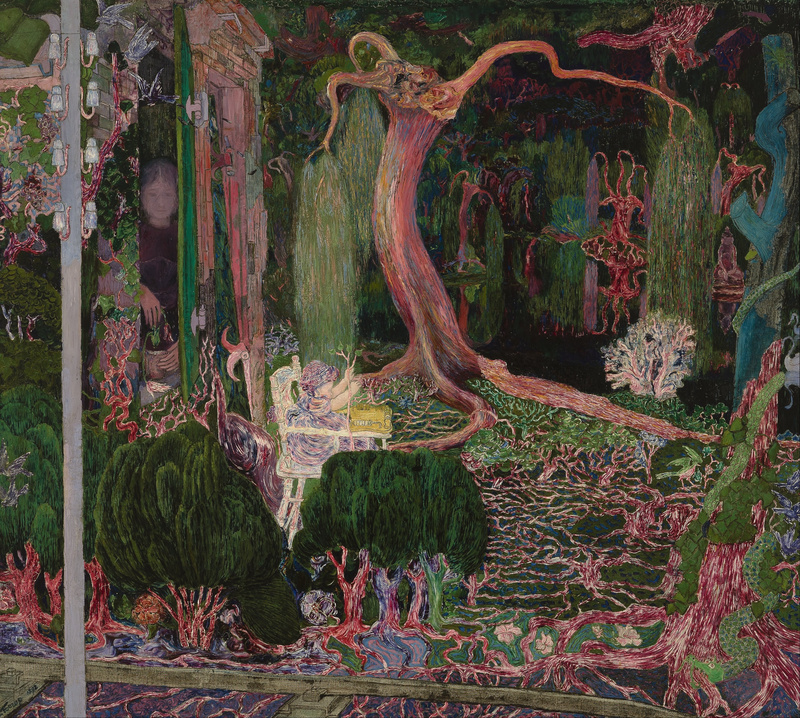 There is a Jan Toorop Research Center that has a site that displays the wide range of his work in a chronological fashion. I like this way of showing the work as you can see the evolution in style over time. His daughter, Charley Toorop, was a celebrated painter as well who produced a series of wonderful self-portraits throughout her life and had another very accomplished painter for a son (and grandson of Jan), Edgar Fernhout. A very talented family, indeed. 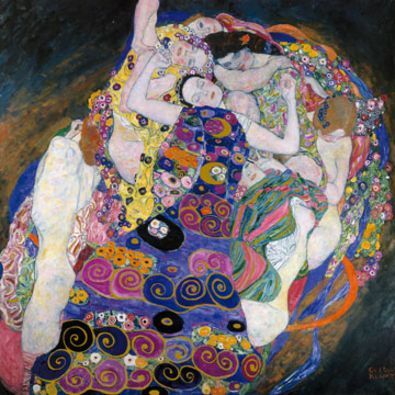 Another artist whose work always draws my eye is that of Gustav Klimt, whose popularity continues through the success of sales of items such as posters, prints, cards and calendars, all bearing his distinctive images. 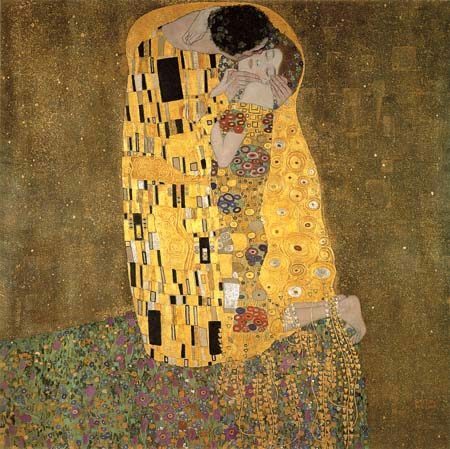 Who hasn’t seen an image of The Kiss on something? 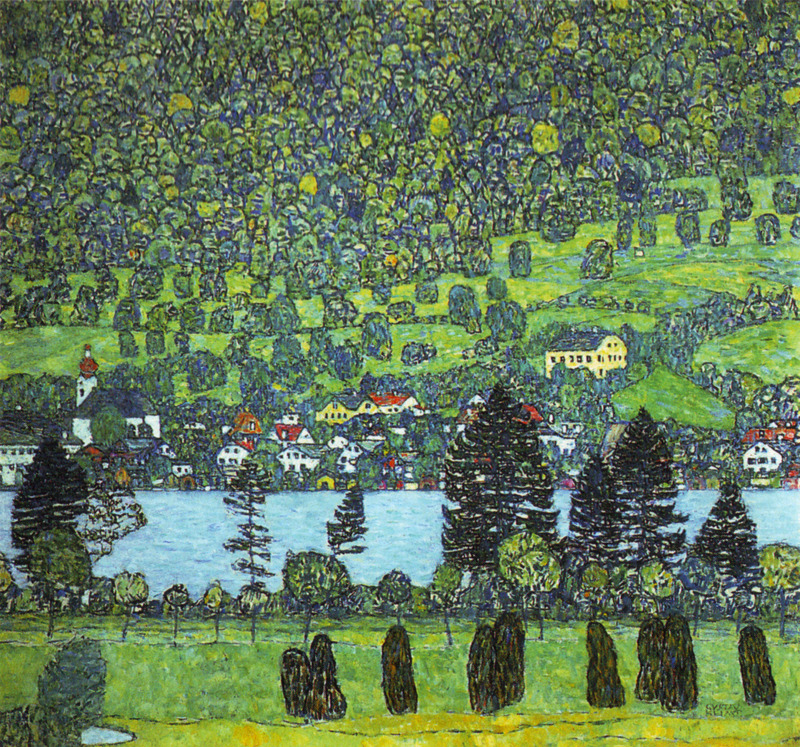 For me , the attraction to Klimt’s work is in the way many of his pieces can be viewed as objects rather than a scene on a picture plane. There is a feeling that you can be both in the painting and outside it. This is a hard quality to describe for me. Maybe it can best be equated to the religious icon paintings of the Russians. This objectification of his paintings has been a big influence on my work. I have always wanted to create paintings that were as much objects as they were mere scenes on a panel. Of course, this is done in my own way, not nearly so ornate as Klimt’s. His influence may not even be visible in my work, nor should it as it is not a stylistic influence but rather a conceptual one. This is just another example of how truly diverse work can inspire the artist and why it is so important for young artists to view a wide spectrum of art and artists. There is so much to be gained from keeping an open mind and drawing as much as possible from the minds of others, in art and in life.